When they are properly fried then add ginger, gr.chilies and curry leaves. Now add 4 cups water and cover the vessel. Mix continuously for a minute and now cover it. Let it cook for 10-15 mins stirring in between. When cooked, add a spoon of oil, cover and leave aside for 5 mins. Now serve hot with raw onion pieces. thanks sushama...both rice and whole green gram are used raw..you need to grind them coarsely and use in the recipe.plz note that its NOT GREEN GRAM DHAL BUT WHOLE GREEN GRAM.. 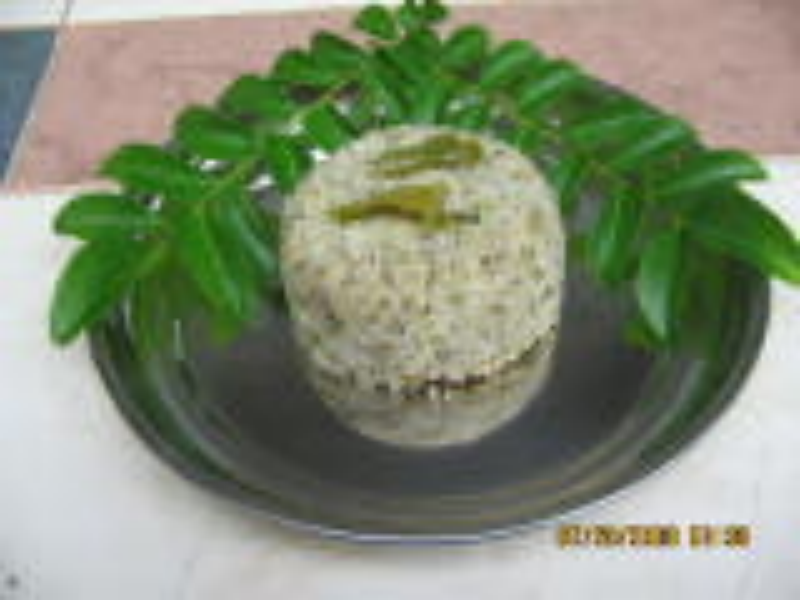 Sorry is it cooked or uncooked rice and raw green gram dal or soaked in water for sometime? can you advise recipe sounds good though. Brilliant recipe, dear Lakshmi, keep up the good work. Regards, from Shweta.